I hope you enjoyed a very happy and relaxing holiday season and are ready for a prosperous 2019. I’m looking forward to another successful year of working together. Keep an eye out for improvements I’m working on to make your client experience even better! Round up those documents. 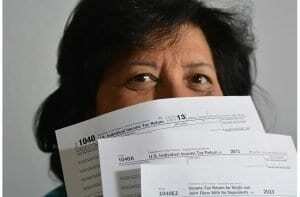 You will soon be getting various tax documents in the mail. More and more documents are available electronically, so don’t forget about those too! Examples are a W-2 from your employer and various “1099-” documents from financial institutions. You will receive a packet or email from First Clearing for accounts at TradePMR, depending on whether you’ve gone to paperless statements (which I recommend for convenience and security!). Here’s a good checklist for what documents you could expect. You can make your own customizable checklist too! Wait for “corrected” tax documents. These often happen because mutual fund accounting is complicated. A mutual fund owns lots of other investments and relies on them for information. If one of those investments makes a mistake or makes a change in their reporting, the result is a corrected 1099. So, First Clearing/TradePMR often has to do this through no fault of their own. I recommend waiting until the end of February to file – this will reduce the odds of needing to amend your return! Review your tax withholding. If your CPA hasn’t mentioned it, the tax law changes last year will likely impact the taxes you owe for 2018 and on. Take a few minutes to complete a new W-4 (you can get a copy here) and submit it to your employer. I’m hearing early reports of too little taxes withheld and larger than normal tax bills for some people. I sincerely appreciate the opportunity to work with you this year. It’s clients and friends like you that help III Financial grow and reach more divorced and widowed women each year. Referrals are so important to me and appreciated. Please do not hesitate to pass along my website to friends or family that might want some help! You can always reach me by phone, e-mail, text, fax, and carrier pigeon to address any questions or concerns you may have about your financial needs.